1) When you open a new review about a conserved eukaryotic protein family, you first perform a whole document search for “plant” and “arabidopsis”. 2) People assume that you know the name of every plant and ask for your advice on growing vegetables. 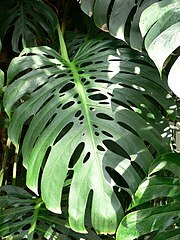 3) You have looked at Monstera leaves and wondered if you could use these for your expression experiments. 4) You had a brown thumb before you were forced to care for your own plants for your experiments. 5) When you are in a restaurant, you automatically check if the table decoration is real. 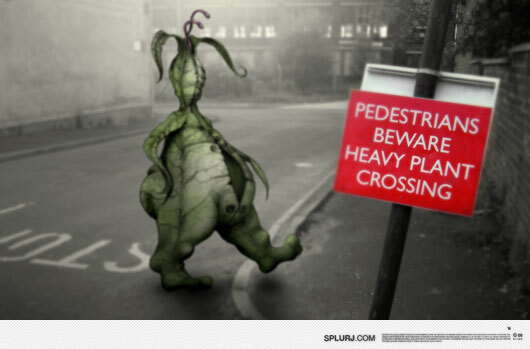 6) Your favourite warning sign is: “Caution: Heavy plant crossing”. 7) You feel slightly superior when somebody refers to mushrooms as plants and you can correct them. 8) Your pellet is green. 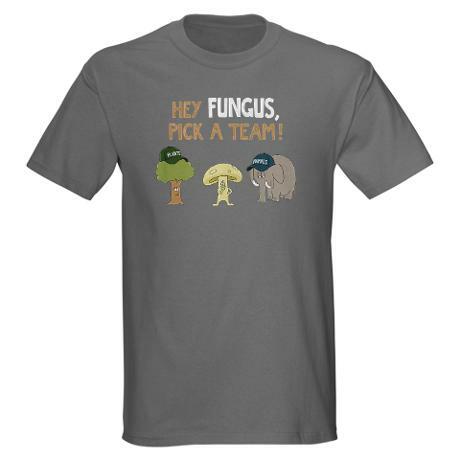 9) You have on occasion typed “pants” instead of “plants” – and giggled. 10) You have a small speech readily prepared for parties, family gatherings and school reunions in which you are able explain in one minute why plants are important. It’s been my observation over the years that you can tell the plant scientist’s laboratory or office because it’s the one with dead plants in the windows. Other types of scientists just wouldn’t have plants in the first place! It’s true. We have a cactus on our window sill which has been dead for at least six years now. Number two is dead on. And you can’t go for a walk without speculating about (and discussing with any accompanying scientists, or lecturing your kids if they happen to be there) the development of evolutionary adaptations of plants you see to bogs, scree slopes, windblown mountain tops etc. (walking in Scotland that is).